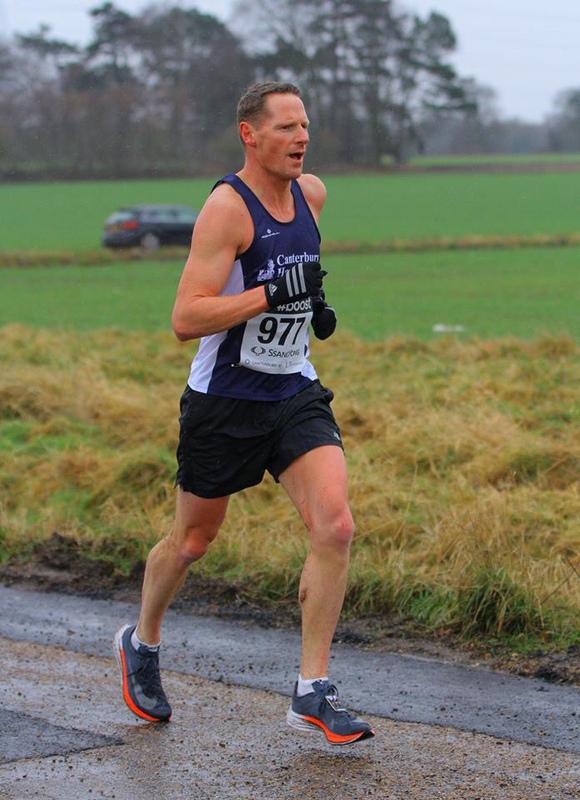 Twenty nine Harriers braved the cold and damp conditions in Sunday`s Canterbury 10 Mile Race producing a range of great performances with impressive PB times and debut runs over the undulating course.In a field of 1390 runners Peter Hogben underpinned his recent good form finishing in 3rd place in a time of 54 minutes and 10 seconds( a PB of over three and a half minutes). Rhys Goddard finished strongly just behind him in 5th place in a time of 54.39(PB over 1 minute) and Paul Knight finished in 23rd place recording a time of 59.41 (PB 3 minutes)his first sub 60 minute run. The Harriers lost out narrowly to a strong Tonbridge AC squad in the mens team award. Gemma Jeffrey was first home for the Harriers` ladies recording a PB of 1hr .16.35 closely followed by Emma Greatrix in 1.16.40 (debut 10 mile) and Sian Smith – Keary in 1.18.26 (debut).Full results can be viewed via the link on the Website.